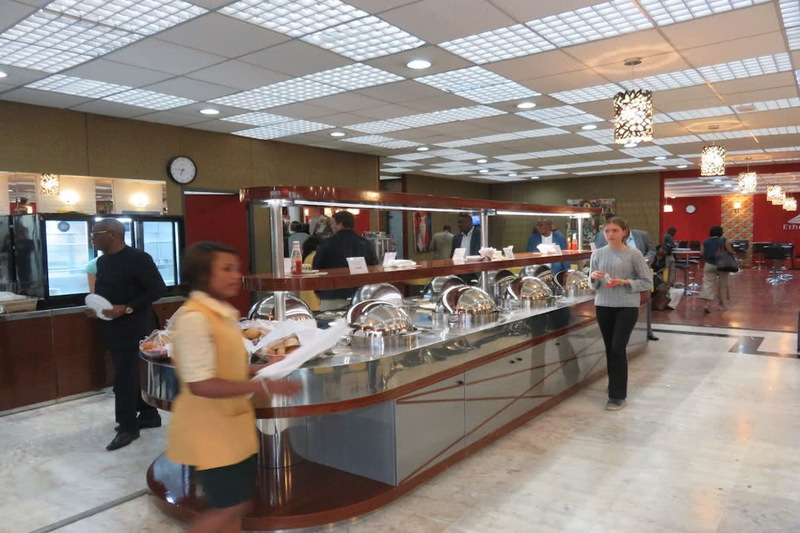 During my short layover at Addis Ababa’s Bole International Airport, I visited the lounge of Ethiopian Airlines. This was the stopover on my Business Class flight on Ethiopian Airlines Boeing 787-8 Dreamliner from Vienna (Austria) to Dar Es Salaam (Tanzania). 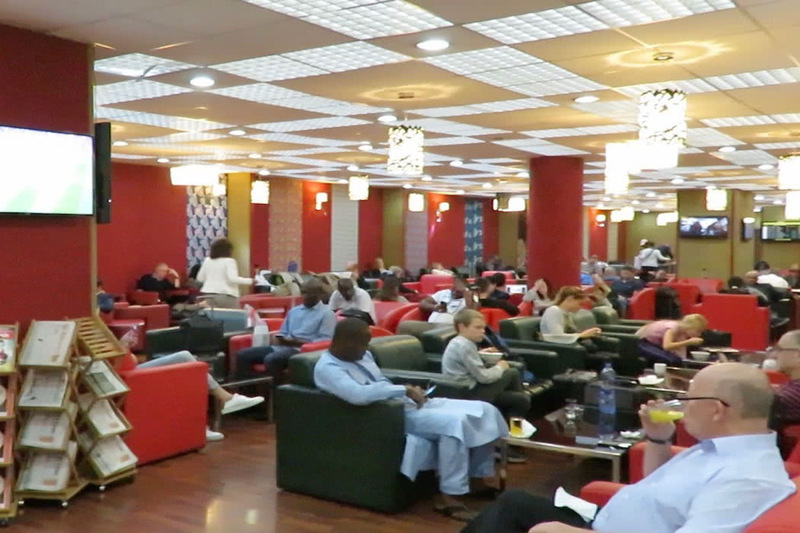 The Cloud Nine Lounge can be used by passengers flying Ethiopian Airlines’ Business Class who don’t have Star Alliance Gold or ShebaMiles status. 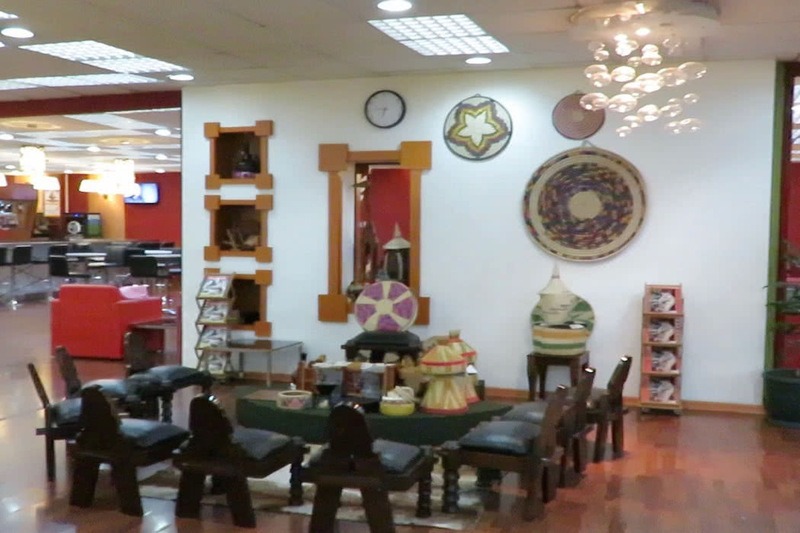 In fact, it’s called Cloud Nine Lounge 2 because this is the lounge in Terminal 2 and there’s another Cloud Nine Lounge located in Terminal 1. Since I don’t have status anymore with Star Alliance, I spent my layover in the Cloud Nine 2 Lounge. The lounge is quite large and features several separate seating areas with tons of comfortable loungers in addition to a corner with a few dining tables. The room’s walls and the seats are all red, reflecting one of Ethiopian’s 3 signature colours (the other two are green and yellow). At the end of the colourful and busy lounge is a quiet room where cell phone conversations are not allowed and where you can relax in a few seats with built-in massage functions.